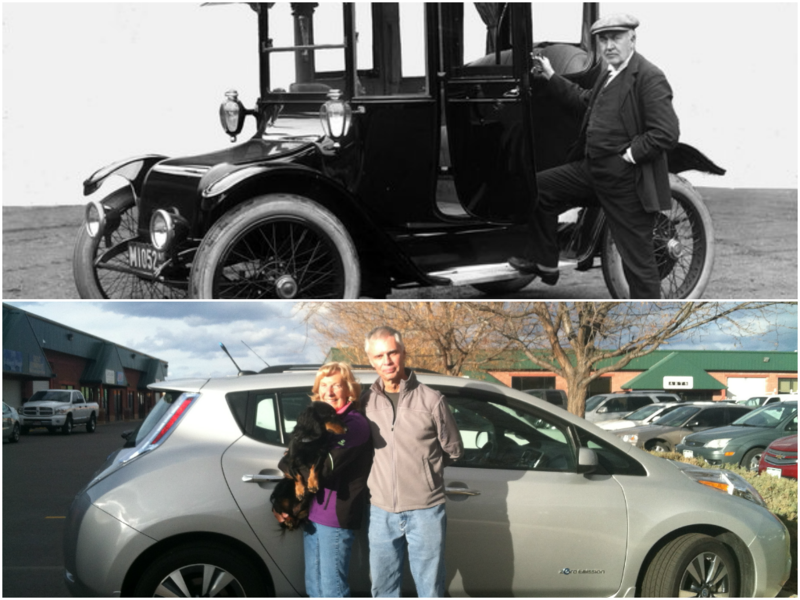 Mike and Betsy Mosehauer recently transformed the way they get around Northern Colorado; they purchased a Nissan LEAF. The Mosehauers first experienced a Nissan LEAF at an electric vehicle (EV) ride-and-drive event in August hosted by Drive Electric Northern Colorado (DENC) and the City of Loveland. Mike told DENC that his passion for EVs goes all the way back to the very beginning—to the first EV ever created in 1913 by Thomas Edison. He joked, “If I had lived in 1913, I would have asked Thomas Edison to make me an electric vehicle, just like his. Also in 1998, when General Motors made the EV1, I would have surely gotten one, but I didn’t live in California, where they were exclusively sold. The Mosehauers have always wanted to drive electric, and coming to the Loveland Ride and Drive gave them the chance to experience the cars first hand and talk to people who already own and drive the car everyday. After test-driving the LEAF at the Ride and Drive, they quickly realized that the car would provide them with a great driving experience and all the distance they need. They also decided that driving on electricity would allow them to save money, by plugging in and using domestic power instead of gasoline.